An interesting news item has appeared in HT- according to which NHAI is planning helipads at a distance of 100 kms. on various Highways going from Delhi to various destinations say Jaipur/Agra/Haridwar/Rohtak. We appreciate the plan as it will save lives of those who get involved in major accidents on highways. 1) If it is free- there is tendency to misuse the facility. 2) Will the pilot be available on 12 hours basis (helicopters do not take off in dark)? Estimate the cost and we know it will be high say Rs 25000 per flying hour and time being counted when it takes off from the base. 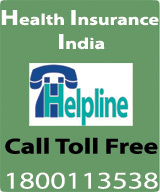 Are we expecting that cost will be paid by Insurance Company if some one to be transported has Health Insurance policy? No it is not going to happen as nearly all Insurance policies pay Rs 1000 or so and that too for ambulance only. There is a silver lining in Platinum product of Max Bupa. If you are insured for Rs 15 Lakhs/ 20 Lakhs/ 50 Lakhs then you are having no limit on ambulance which we are made to understand covers Helicopter evacuation or use of air ambulance. 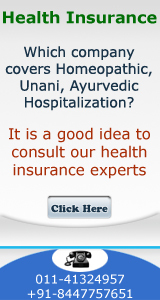 High profile people or HNI’s will be attracted towards Max Bupa product.